Picture this: It’s 74 degrees and the sun is setting over the beautiful gardens at Allerton Park. Music is playing under café lights, and the scent of delicious food and sounds of laughter fill the air as kids run around and a group of workshop-goers chat. Oh, and there are plants for sale! This is a snapshot of Allerton’s new- and-improved Plant Sale, held last May. The addition of a Friday night sale brought a number of excellent add-ons. Activities included workshops by U of I Extension Educator Candice Hart and Becky Newton of Wren’s Gate Flower Farm. The Bashful Youngens entertained with their sweet tunes, while the crowd enjoyed tasty treats from the Greenhouse Café and Dragon Fire Pizza. 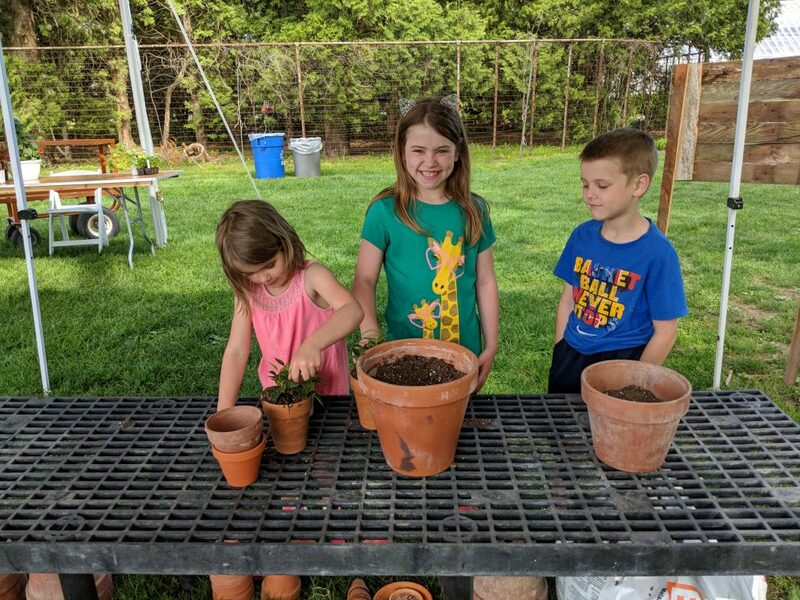 A free Kids’ Potting Corner kept children busy on Saturday, while the Piatt County Master Gardeners helped steer plant novices in the right direction. Instructor Josie Heck led yoga in the Meadow to offer Sunday’s shoppers a relaxing breakout activity. 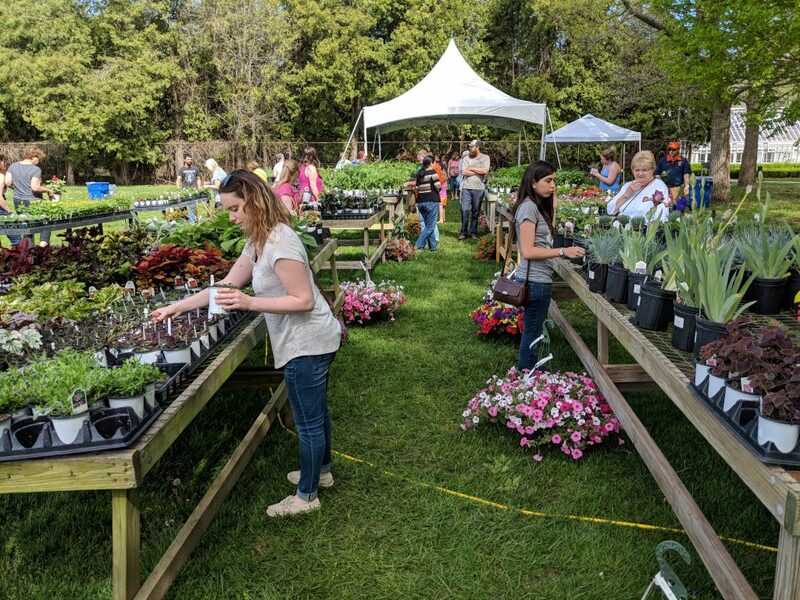 2018 was a year of amazing growth for Allerton’s Fifth Annual Plant Sale. Not only did we add many activities, but we increased sales by 50 percent! 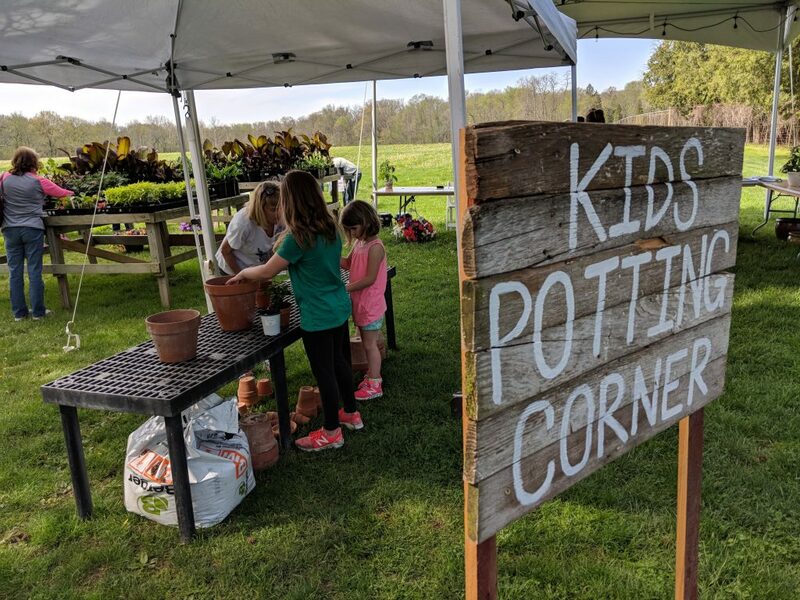 Once again, Country Arbors Nursery in Urbana grew some amazing plants for us to sell – with all proceeds going directly to maintaining the gardens and grounds throughout the Park. We are so thankful for all those that came out to participate, and we look forward to continuing to grow in 2019 on May 3-5! Interested in volunteering for the Plant Sale, or other public events? Contact our Public Engagment Coordinator, Mindy, at brand@illinois.edu.